We love Canadian Living Magazine! 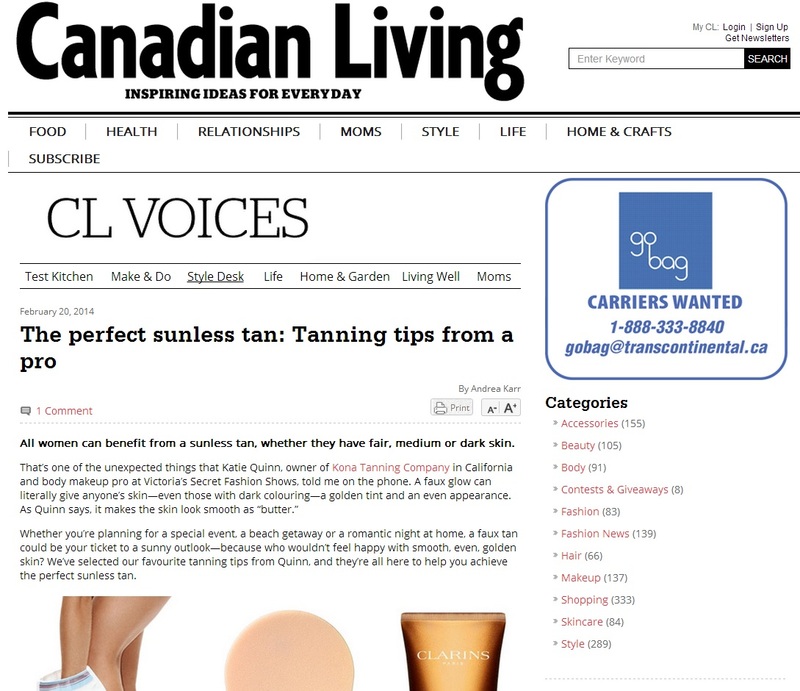 We had a blast working with their fantastic beauty editors on the article The Perfect Sunless Tan: Tanning Tips From a Pro. Read the rest of the article on Canadian Living’s website, and don’t forget to look around – there’s plenty of great information on beauty, fashion, and our favorite guilty pleasure: RECIPES! Also see Kona Tanning in SELF Magazine, Australian VOGUE, and Shape Magazine!